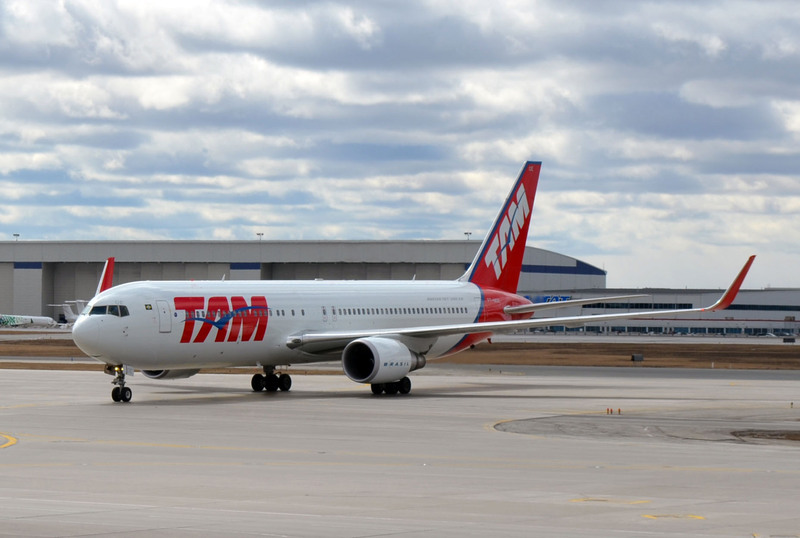 TORONTO, March 30, 2015 /CNW/ – Today, TAM Airlines, part of LATAM Airlines Group, celebrated the addition of Toronto as the fifth gateway for the Group in the USA and Canada and the launch of new service from Toronto Pearson International Airport to São Paulo’s Guarulhos International Airport via New York’s John F. Kennedy International Airport (JFK). The Canada milestone was celebrated with an event at Pearson with airport officials, LATAM Airlines Group executives and VIP guests. The new TAM Airlines flights from Toronto Pearson to New York (JFK) will operate five times a week as an extension of existing TAM flights JJ8102 and JJ8103, which already link JFK with Guarulhos International Airport in São Paulo. Flight JJ8102 will take off at 11:15 am ET from New York (JFK) and land in Toronto at 1:00 pm ET. Flight JJ8103 will take off from Toronto at 4:35 pm ET and land in New York at 6:40 pm ET. 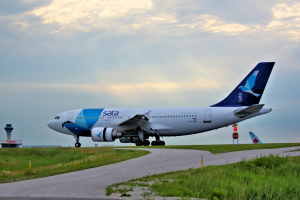 “With this launch, Canadian passengers can easily travel from Toronto via JFK to over 115 South American destinations in the LATAM Airlines Group network including Santiago, Chile, and Rio de Janeiro, Brazil,” said Pablo Chiozza, Senior Vice President, LATAM Airlines Group, USA, Canada and Caribbean. 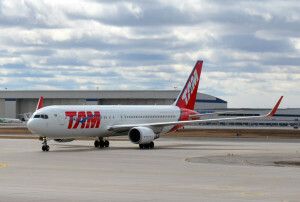 TAM Airlines will operate modern Boeing 767-300ER aircraft from Toronto. 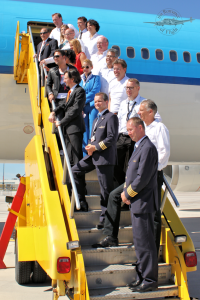 The aircraft is configured with 191 seats in Economy Class and another 30 in Premium Business, featuring seats that recline up to 180 degrees full flat. For flights from Toronto Pearson to Sao Paulo via JFK, Premium Business class passengers can also enjoy an award-winning wine list with some of the best vintages from South America and Europe as well as an in-flight menu designed by the region’s leading chefs incorporating the flavors of South America with international cuisine. Economy Class passengers can enjoy ergonomic, reclining seats and adjustable headrests, as well as carefully selected, delicious meals, on-demand entertainment, individual flat screen TVs in each seat, free meals, wine and spirits, headphones, eye mask, blankets, pillows, etc. The interiors of the redesigned TAM 767-300 aircraft were designed to provide a comfortable experience with the charm of South America. The interior design was inspired by the warm colors and textures of South America and reflects the attention to detail, reliability, and warmth that characterize the region. TAM Airlines is the only Brazilian airline operating in Canada and is part of the oneworld® alliance. LATAM Airlines Group S.A. is the new name given to LAN Airlines S.A. as a result of its association with TAM S.A. LATAM Airlines Group S.A. now includes LAN Airlines and its affiliates in Peru, Argentina, Colombia and Ecuador, and LAN Cargo and its affiliates, as well as TAM S.A. and its subsidiaries TAM Linhas Aereas S.A., including its business units TAM TransportesAereos del Mercosur S.A., (TAM Airlines (Paraguay)) and Multiplus S.A. 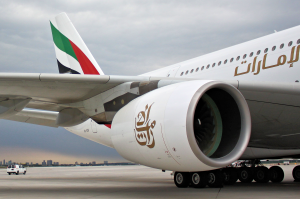 This association creates one of the largest airline groups in the world in terms of network connections, providing passenger transport services to about 135 destinations in 24 countries and cargo services to about 145 destinations in 27 countries, with a fleet of 323 aircraft. In total, LATAM Airlines Group S.A. has approximately 53,000 employees and its shares are traded in Santiago, as well as on the New York Stock Exchange, in the form of ADRs, and São Paulo Stock Exchange, in the form of BDRs. 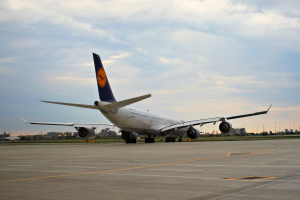 Each airline will continue to operate under their current brands and identities. For any inquiry of LAN or TAM, please visit www.lan.com or www.tam.com.br, respectively. Further information at www.latamairlinesgroup.net. September 14, 2013 – Toronto Pearson put on a show and Night Flight stole the show. 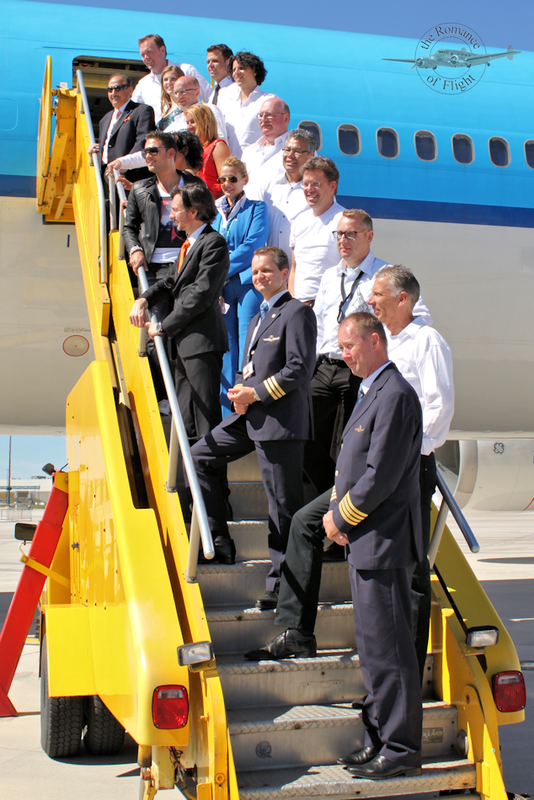 Night Flight to Rio is a 14 member party band from the Netherlands made up entirely of KLM staff members. They have been together three years and have built quite a following back home. They entertained us all day and as I understand they have been invited back to headline next years Streetfest. NFTR played covers ranging from Meatloaf to the Pointer Sisters to Tina Turner to Ricky Martin and did every one perfectly. The 5 piece horn section sets up the Latin flavour while the keyboard, drums and congas get you up and dancing. The base is solid and the lead guitar is world class. I have no idea why the male lead does this part time as he is simply amazing. The two female singers are not relegated to back-up stature but rather rock the house on tunes that require a woman’s touch. Proud Mary is hard rock perfect start to finish. Mark your calendars for the 2014 StreetFest because this band was the highlight of this years event. 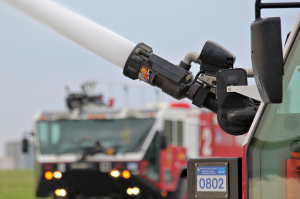 This year is the second that Toronto Pearson has been offering public tours of the airfield. I was lucky to sign up early as all tours through the end of October are now fully booked. If you weren’t lucky enough to get a seat on one of the tours, and would still like to see Toronto Pearson behind the scenes, please keep an eye out for information about this year’s Street Festival, taking place on Saturday, September 14, 2013. 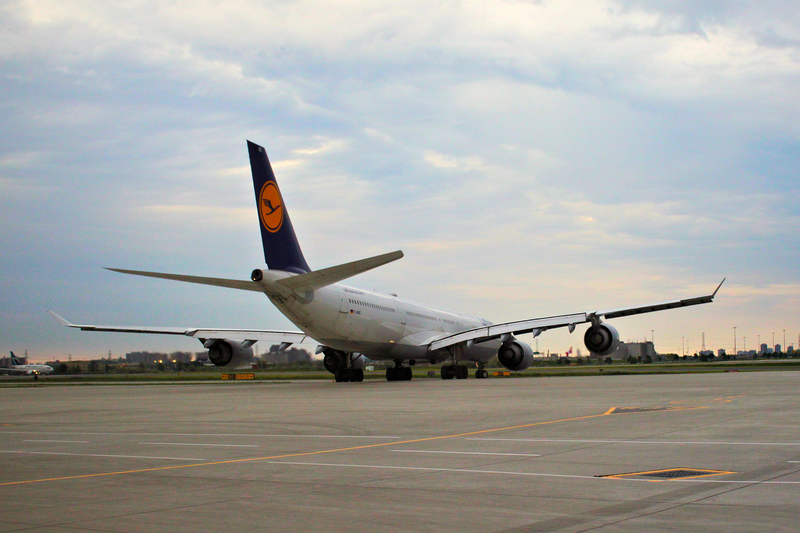 Last night’s tour provided a behind the scenes look and appreciation of the workings of Canada’s busiest airport. After being carefully screened, we entered the airport through the east Fire Station and were briefed on all aspects of the station’s daily activity. The vast majority of their calls are for personal medical emergencies as opposed to aircraft problems. We had a close up look at the maintenance facility and at the large snow removal equipment. As informative as these presentations were, most eyes crept skyward looking for a chance to photograph an incoming or departing aircraft. 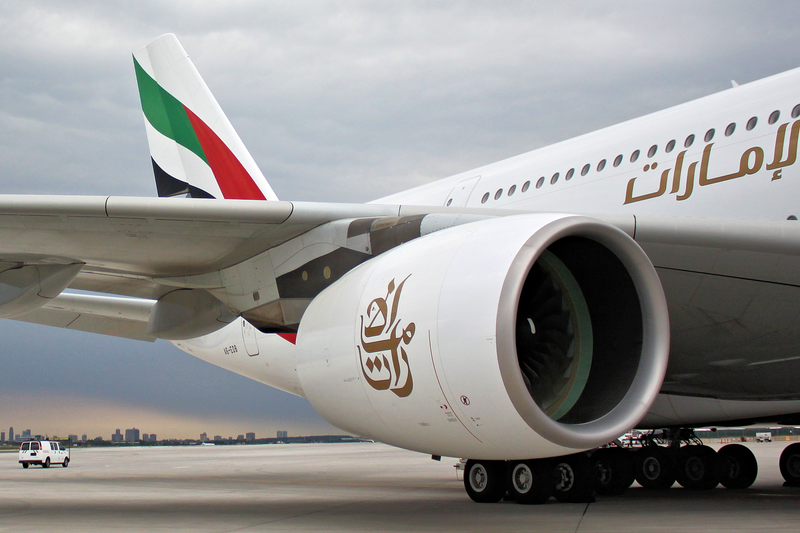 We toured the aprons and gates of Terminal 1 and 3 with 20 or more cameras snapping constantly, stopping briefly to get up close and personal with an Emirates Airbus A380, the largest passenger plane in the world. We enjoyed a presentation on baggage handling and the remote possibility of your bags actually being lost, as opposed to ending up in Tokyo when you are going to Frankfurt. A very enjoyable two hours flew by and we would like to thank Russ Cruickshank a 25 year veteran of Pearson and the community Programs Officer as well as the other very knowledgeable Pearson staff members accompanying us. A new airline, Fly Jamaica, has been granted permission from the Canadian Transportation Agency to begin advertising and selling tickets in anticipation of receiving a scheduled international licence from Transport Canada to operate a service between Jamaica and Toronto Pearson CYYZ. This approval is expected to be given in time for a June 2013 launch. 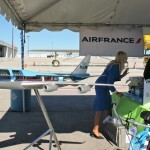 The airline currently has one aircraft, a Boeing 757-23N registration N524AT. 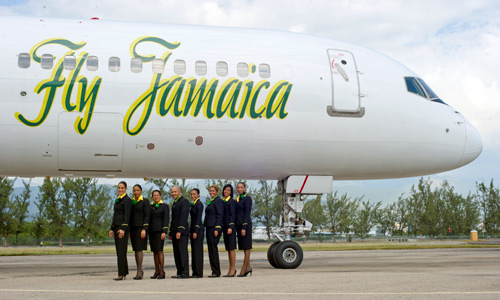 They began service on February 14, 2013 with their inaugral flight from Kingston Norman Manley MKJP to New York John F. Kennedy International JFK. It seems possible that the Jamaican Diaspora may well take this new airline to heart as much ill will has been directed towards Air Jamaica since the IMF forced selling of the airline to Caribbean Airlines.